global crop production is challenged by climatic changes, decreased availability of fertile land and the global demographic development. The increasing world’s population requires new solutions to warrant food security and safety. In addition, global warming, extreme weather events and emerging pathogens pose a major threat on yield stability. Consumers are increasingly aware of food and environmental safety and consider sustainability of food production as a key issue. Therefore, in many countries legislation requests lower inputs of chemicals such as inorganic fertilizers or pesticides. Overall, there is a need to intensify agricultural production in a sustainable manner and to identify solutions to combat abiotic stress, pathogens and pests. 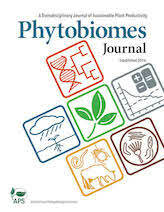 Plants are associated with complex microbiota, which play a key role for plant performance. These microbiota have been also termed as the accessory plant genome and encompass microorganisms, which have highly beneficial functions in regard to plant production. To a great extent these microorganisms are important to improve plant nutrition by providing or mobilizing plant nutrients. Other microorganisms have the capacity to improve stress tolerance of plants to abiotic stress such as drought and equally important are microorganisms, which are able to combat plant pathogens and protect the plant against diseases. The integration of beneficial plant-microbe and microbiome interactions might represent a promising solution to improve agricultural production in more and less developed regions around the world. 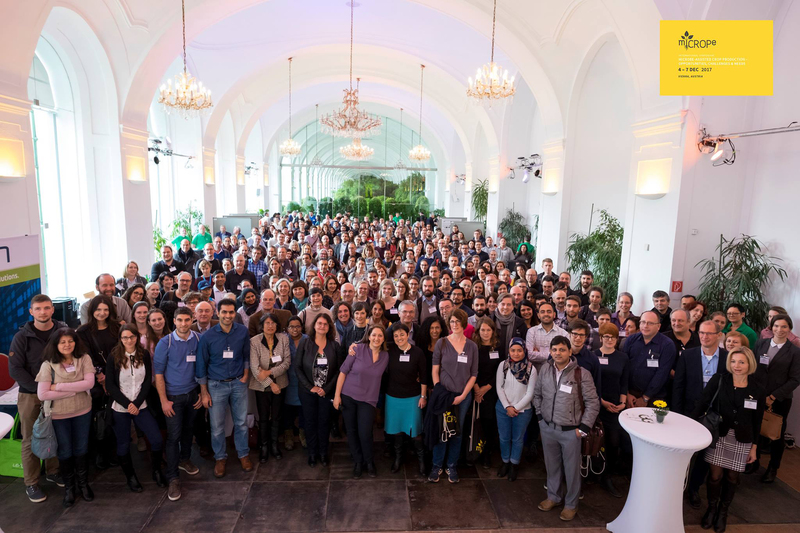 The symposium "Microbe-assisted crop production - opportunities, challenges and needs" (miCROPe 2017- www.micrope.org), which took place from 4 -7 December 2017 in the Orangerie of the Schönbrunn castle in Vienna, Austria, addressed basic and applied aspects of applying beneficial microorganisms in crop production. This symposium, which was organized by the AIT Austrian Institute of Technology and by the Austrian Association of Molecular Life Sciences and Biotechnology (ÖGMBT), covered mechanistic understanding of beneficial plant-microbe interactions, microbiome research with a focus on microbiome and multi-trophic interactions, formulation and application know-how as well as the importance of microbial inoculants for rural development. A special talk addressed registration issues. More than 320 delegates from 39 countries participated in this symposium with more than 26% of the delegates coming from the industry sector. The "miCROPe 2017" symposium successfully combined basis and applied aspects of beneficial plant-microbe interactions, which was highly appreciated by participants from academia and industry. We would like to thank all speakers and poster presenters for their excellent contributions and all delegates for their enthusiastic spirit, it was a great pleasure hosting the symposium in such an atmosphere! It was a great opportunity for me to share part of our results with all the participants whom attended the Micrope 2017 conference. It was also challenging because many of them are working with private companies dealing with microbial commercial products and our conclusions were not so optimistic about what is currently available on the market. But we all share the same goal, having microbial solutions for sorting out the problems agriculture has been facing all around the world. This is definitively the way forward and by participating to International conferences such as Micrope 2017, we significantly contribute to the elaboration of effective microbial products relevant for end users. The miCROPe symposium, which I attended twice (2015 and 2017), was very successful also this year and had proven again to provide a comprehensive interdisciplinary scientific review addressing aspects of beneficial plant-microbe interaction relevant for both academy and industry. It was a great place to hear scientist who are opinion-leaders and get an up-to-date picture of the current understanding of the field. To my opinion, the program was tailored nicely to allow the participants to identify scientific trends and challenges, get a sense of the potential of microbes as plant producers and learn about the practical considerations toward successful development of an application. In addition, as a scientist coming from the industry, I find miCROPe an excellent place where potential collaborators can be approached, technologies for licensing can be identified and I can communicate my perspective as an industry on the field. miCROPe17 was a very comprehensive conference, covering all aspects of microbial products in agriculture related fields, from discovery and evaluation to scale up (e.g. fermentation) and product regulation. The program was well structured catering to a range of audiences including researchers, private industry and the farming community, and created an environment that facilitated open discussion, interaction and collaboration. Overall, miCROPe 17 was the best conference I have attended, in the most amazing location in the grounds of the Schonbrunn Palace. This conference is a must for anyone interested in microbial products in agriculture. It was a pleasure to attend miCROPe 2017. Meeting so many people from diverse fields of research was quite impressive. As an early stage researcher working on endophytes, it was very encouraging for me to network with people working on different aspects of plant-endophyte interactions. The unique aspect of miCROPe was the perfect mix of researchers from industry and academia presenting their work in a collaborative atmosphere. The talks from the keynote speakers were particularly inspiring! I would like to thank the organizers for giving me the opportunity to present my work to the pioneers in the field of plant-microbe interactions. I am looking forward to miCROPe 2018. The use of endophytes as agricultural products is a rapidly emerging field across academia and industry. The miCROPe 2017 organizing committee did an excellent job of bringing together international experts in the field. As a representative of a company dedicated to harnessing nature to help farmers sustainably feed the planet, I was pleased to see and discuss advancement in this area. The symposium was organized very thoughtfully, providing lots of opportunities for networking, discussions, and brainstorming. The size of the symposium was just right to enable those interactions, the venue was beautiful, and the hosts were exceptional. I would love to see this meeting take place each year in Vienna. Visit the Website of the previous Micrope2015 Symposium.